According to Dorie Clark, a marketing, branding and business strategy writer, only celebrities like Hillary Clinton or Justin Bieber can sit back and watch their twitter accounts receive a massive following without any effort. Otherwise, you will have to work really hard to achieve success in attracting more followers. Rather than allowing for a slow and steady progression, you need to learn the secret of growing your following really first. Provided you learn the tricks involved, you will realize that the entire process is not rocket science. Simply make it your priority and dedicate your time to double down the and enjoy the quality following you have always wanted. In case your Twitter following remains the same as it was the last few or several months ago, it means something is really wrong despite the effort you have put in terms of time or energy. The truth is, you don’t need to struggle; there are quite many people on twitter and other social media platforms ready to connect with you and grow your fan base. You simply need as low as 20 minutes a day creating amazing content, following influential people and getting involved in engaging conversations with other twitter handlers to create a human touch with the rest of the world. Whether you are running a personal or business twitter account, the following are some of the critical tips to follow to enable you build a massive and quality twitter following in less than 20 minutes a day. Consistency is crucial on twitter. In order to keep up with the required consistency, you need to schedule some of your tweets so that they can be posted while you are not on your computer or Smartphone. Scheduling of tweets means that you can feed your followers throughout the day even when you are asleep. The good thing is that scheduling of tweets can take only a few minutes. You only need to be authentic as usual with the scheduled tweets. In scheduling tweets, you can use such tools as Hootsuite so that you can remain active throughout the day even at night. 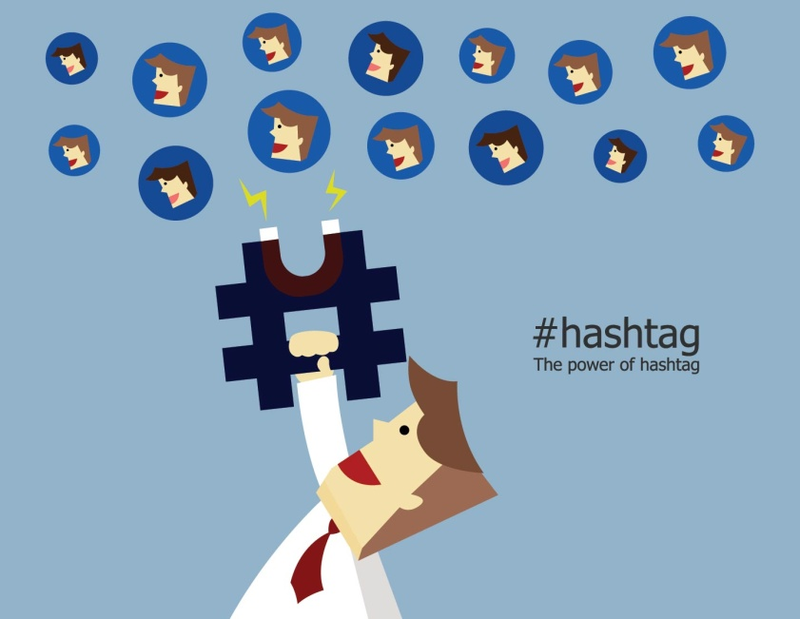 Use of relevant hashtags is a great strategy to attract many followers who are searching similar keywords. This way, you become a great source of what people are looking for and will definitely follow you with time. Following known and trusted influencers can help you build relationships with the influencers’ followers. Over time, your influence will start to grow. Such twitter directories as about. me are great to start with as you grow your online influence and attract more and more followers. There are many influencers within your industry with a massive following. Such followers are great to follow too. If you don’t know many influencers in your industry, you can use such tools as Manage Flitter or Tweepi to locate them and their followers. Being in the same industry with the influencers, their followers are likely to get interested in your area of expertise and start following you in return. In the modern business world, influencer marketing is quite crucial and connecting with the right influencers in the same niche as you will help boost brand presence to a larger target market. Your first impression to new followers is usually on the profile you create. This is the first place followers will turn to when they need to know more about you or your brand. Creating a great profile will compel visitors to click through to your website to learn more about you. In this case therefore, you need to ensure your profile is 100% complete and accurately speaks about and reflects your business brand. Being able to tweet out breaking news is a great plus for you to attract more followers. People are always thrilled of learning the latest and most current events and news. Being the first to tweet therefore guarantees many people viewing and sharing your tweets to the world. In order to receive up-to-date news and happenings across the world that you need to tweet, use available tools like Google alerts, which is the universally known tool that feeds the latest events and happenings across the world. There are many twitter chats that are targeted on creating connections between people in the same niche or industry. In such twitter chats, you need to try your best to be the most vocal to attract the attention of the chat members to follow you. In order to easily find the right twitter chats, you can use such tools as Twubs which is very common today among twitter handlers. The same tool can also make hosting simpler and easy. In case you already have a massive following on other social networks, then asking your fans to follow you on twitter will result to an increase in twitter followers. The honest part is that, you also need to be influential on other social networks like Facebook, LinkedIn and Google+ to be able to convince the followers to start following you on twitter. From time to time, your followers will @mention you on their tweets. You need to quickly respond to such tweets as a sign of active presence to engage with and participate in various conversations. In this case, you need to check regularly on such tweets and responding to them appropriately. You may use such tools as Hootsuite or Mobile app to check on them so that you can respond from wherever you are, any time of the day. It pays a lot when you are generous in @mentioning other twitter handlers in your tweets. You can also extend the generosity by re-tweeting other people’s tweets that you consider relevant in your industry or niche. In order to increase chances of others tweeting or sharing your tweets, you need to start it yourself. Your followers are likely to share your content with others if only you also show them that you can do it. This type of content is referred to as evergreen content and is considered as best of the best. You can create this kind of content yourself or share by tweeting the content that you consider being of the highest quality. This kind of content should be tweeted from time to time irrespective of the time it was written. Your followers are likely to share most of the high quality content that you tweet and the effect this will have is increased following on twitter. Evergreen content is the type of content that is well researched, unique and original value-based articles and blogs that people love to read and share. Everybody is happy when they win and holding contests on twitter can drive in more followers than you expect. Twitter contests are regarded as the best strategies to gain active presence among your target audience. Setting up a contest will draw attention from various twitter handlers and within a short time you will be able to reach out to a large audience within a short period of time. Besides gaining more followers, what your brand needs are quality followers and you can gain as many as you want if the price of the contest is something that will impress only your target audience. For instance, the contest should be aimed at luring the participants into subscribing in your industry or tool. Twitter is all about spreading the word and love. When you recommend people to follow to your followers, chances are high that the followers and influencers you have recommended will do the same. According to twitter, spreading the love, you get love in return. If you already have a good number of email subscribers for your brand, you definitely understand that they are interested in your content updates. By promoting your twitter profile to your email subscribers, you encourage them to get breaking news and content that you share on twitter with your other followers. A website is a great asset to promote your brand. There are quite many people who visit the website on a daily basis. On the other hand, your blogs get read by many people in a single day. Why not take this advantage and have your twitter badge on your blog? To promote this even further, you ought to add a call to action at the end of each blog so that readers can be prompted to start following you on twitter too. Each day brings something trendy on twitter. It is crucial to find some of the relevant trends on twitter that are significant in your niche or industry and following them. If it is a conversation, you need to take part in the same and if it is some amazing content, you need to share it to your followers. When something is new, it trends and everybody wants to get associated with it. Therefore the earlier you spot such trendy tweets; you need to be the first to share to your fans and followers. There is nothing you can do that is better than following people that talk about you in their tweets and content they share. In this case, you need to find the people talking about your brand, products and generally your niche. Such people will most likely open up you presence to the outside world of followers that you never expected. People like to be inspired everyday they start off. The more your content feels motivational, the more followers you should expect because inspirational tweets are likely to be shared by your followers and interested readers will have to start following the main source of the tweets, which is you. Creating personal, compelling and high quality content to tweet is crucial but you also need to focus on appreciating what other people are sharing on their twitter handles. This is a clear indication that you also value other people’s efforts in creating compelling content. On the other hand, the comments should be designed in a manner that they will sound professionally compelling. This way, you will also attract readers of the same comments into following you. Promoted tweets can greatly help you to gain more followers on twitter. These are tweets designed to help you reach out to people who are not even following you. Such promoted tweets allow you to be specific on the people you want to see them, and chances are high that they will start following you. 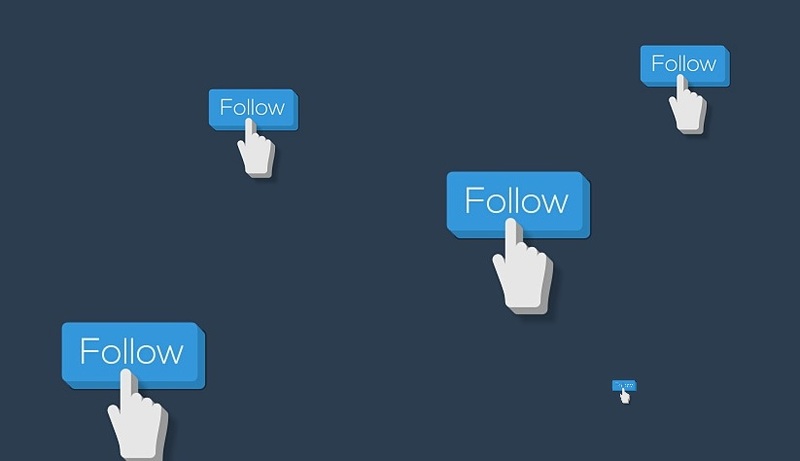 These are among the several ways you can build your twitter following effectively fast. While some people may never understand the relevance of increasing twitter followers, it is actually an indication of credibility and trust; the more the followers, the more influential you will be in your niche or industry. Every business or brand wishes to have the kind of authority whereby people listen and read what they post and have to say on a daily basis. In order to become a leader in your industry, you need to gain online presence and convince people through what you share with them. While focusing on increasing the quantity of twitter followers, it is important to make sure you also check on the quality of such followers so that you can advance your brand in the best way possible. You do not wish to be that brand that no one pays attention to on social media simply because you have very few followers. Use the various tips outlined here and you will become a brand to reckon with in your industry.